August Alsina aka the galdem sugar has dropped some new material for us ahead of the release of his debut album ‘Testimony’. 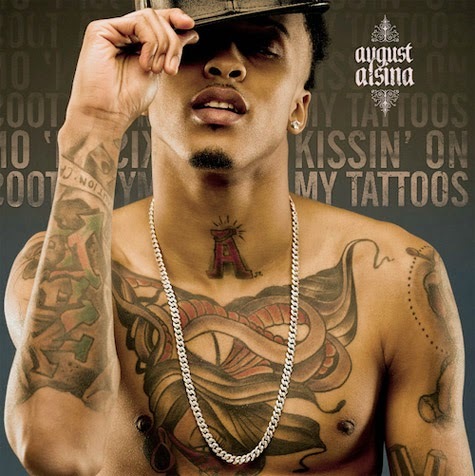 ‘Kissin' On My Tattoos’ is a sweet and romantic song that we hear Alsina profess his love for only one lady. Produced by Jasper Cameron, ‘Kissin' On My Tattoos’ along with ‘Make It Home’ featuring Young Jeezy and ‘Benediction’ will both appear on August Alsina's new album, as well as collaborations featuring Rick Ross, Fabolous and Pusha T.
‘Testimony’ hits shelves April 15. Listen to ‘Kissin' On My Tattoos’ below.